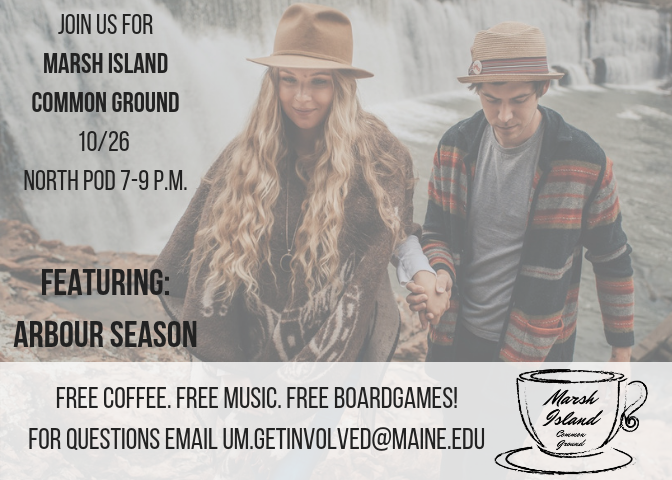 Join us at the Marsh Island Common Ground for free coffee, good vibes, and a fun music performer! This event is free and family friendly. This event is put on by Campus Activities & Student Engagement.